Last week we reported that distressed sales accounted for 63.27% of all single family home sales in August, and that a big shake-up was about to ensue as banks declared they were halting foreclosure sales at auction until they had time to investigate whether they’ve followed proper procedures. Since that time Three major lenders (J.P. Morgan Chase, Allied Financial Inc. (GMAC,) have all stated they were halting foreclosures, but that doesn’t seem to be the case. Last week there were in fact several foreclosure sales to the astonishment of the banks who have instructed their local counsel to halt proceedings of final judgments until they study each case. We at the Ellis Team handle foreclosure sales for one of the large banks and FNMA. FNMA says they have not been affected because they didn’t employ the robo signers the big banks did. The large bank we work with gave us orders on 10 new properties in the past 2 weeks, and we had a closing this past week. To date title companies are still issuing policies and the banks are still closing sales, although we’ve heard reports of some cancelled sales by agents. Banks may be halting summary judgments, but in many cases they are moving forward with new foreclosures to get the process started, but holding off on the final judgment or auction sale until they know they are on solid legal ground with their paperwork. This is not necessarily stopping them from disposing and selling properties they previously foreclosed on. So one has to wonder if the bank’s announcement was all a farce for publicity. The answer is probably not. These banks are large and decisions take awhile to matriculate down to all the branches. The implications are huge though. What’s at stake is the bank’s legal authority to foreclose. Typically the bank makes a loan then services the loan after they sell the loan to an investor, often times as a group package in what is called a security. These loans are typically bundled together with many loans, and many investors may join together and invest in the security package. Other times an investor will buy individual packages of loans. Usually the lawyers would sign affidavits that they, or the bank does indeed have the note, and the judge would accept that. The reality is, the note and other paperwork may be missing and perhaps never found. Because of all this, some judges may no longer accept those affidavits, and many of these sales may be in question. Some speculate this could happen in as many as 30-40% of the cases out there, and the answer is nobody really knows, not even the banks or attorneys right now. This is why banks and states have opened investigations. If this is wide-spread, it could have deep financial implications to the banks and investors, and we wouldnâ€™t be surprised to see damage suits against the banks by those foreclosed upon where the paperwork was insufficient. This very well could stall the process and tie up the courts for awhile, which could affect the real estate market. It would make sense for the banks to emphasize short-sales now that foreclosures could be delayed, but the banks don’t always make sense. Inventory could dry up, and transaction volume could decline. Some speculate prices would be driven up fast and furious, but we’re not so sure. We’ve had high sales because prices have been at bargain prices. Unemployment is high, and the economy is hurting. Will prices rise just because supply goes down? In a balanced economy, we’d say yes. In this economy, we may just be prolonging the foreclosures further out and delaying our recovery. We hope this situation gets resolved quickly as nothing good results from a foreclosure moratorium. In the end, the property will still be foreclosed or sold, so no sense delaying it and letting neighborhoods decay and the market falter. Let’s hope this gets fixed and we all get back to business soon. Big Shakeup in SW Florida Real Estate Market? 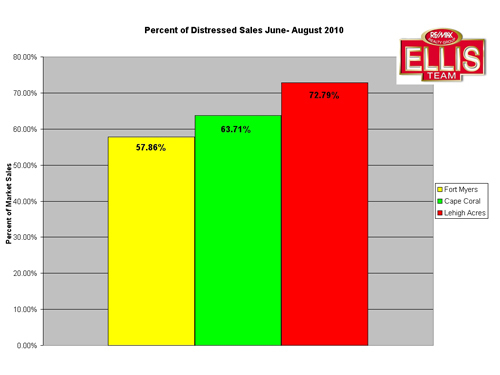 Last month distressed sales in Lee County accounted for 63.27% of all single family home sales. This trend has been fairly constant for the past few years as Lee County has been hit hard by a sagging economy and a fallout from the real estate industry. We have reported in past articles how the government’s loan modification plan was ill conceived and would not help struggling homeowners and in fact would prolong the housing crisis, and this has born out. While there is plenty of blame to go around, there is a new threat on the horizon that may shake-up the SW Florida real estate market and change the landscape of transactions. Because of the volume of foreclosures nationwide, banks have hired outside firms sometimes regarded as foreclosure factories to handle and process the foreclosure. The problem is that these firms must certify and investigate certain facts before presenting to the court a notarized package that the person investigating has read all the documents and certified the package is true and correct. Through recent testimony, it has been revealed that a few of the large banks have one person signing thousands of documents, making it unlikely this person has personally reviewed each case. In another case the vice president of one bank is also the vice president of another large bank, and is the person notarizing the attorney-in-fact’s signature. This is suspect and unlikely true, which gives further credence that this person is rubber stamping notary signings for various banks, which could invalidate all those foreclosures. Three major lenders (J.P. Morgan Chase, Allied Financial Inc. (GMAC,) and Bank of America have halted foreclosures in 23 states because of this. There is a potential to postpone many foreclosures both here and nationwide, which could stall a real estate recovery. The talk of the industry is, would this make banks more likely to consider short sales? The answer is that would make too much sense, but it would speed things up and limit bank’s liability in this foreclosure document crisis. FNMA has not been affected, and this document crisis will not halt all foreclosures, but it will shake things up for awhile. What’s going to be interesting is how the failure of the banks to properly certify their properties for foreclosure will affect title. A few title companies have already suspended issuing title policies on foreclosures of certain banks until they can determine the foreclosure was in fact legal. The interesting question would be what happens to previously sold properties that could come into question? This all sounds like a legal mess, and it probably is. It is uncertain what all this means, but we do know it could have a profound impact on available inventory, and possible further effects on past sold bank foreclosure properties. The implications are far reaching and beyond the scope of anyone’s expertise I know of to accurately predict how this will play out. Our guess is it will just delay foreclosures in our area, which will prolong the market recovery. 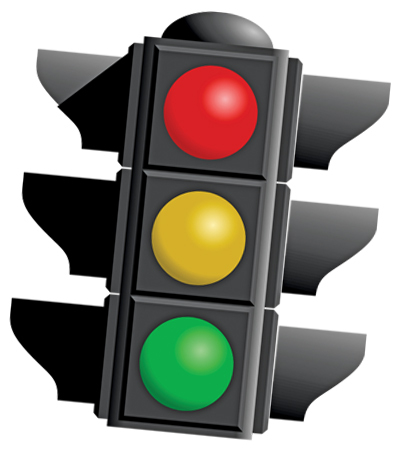 Sales transaction could decline further unless banks step up and approve more short sales. This is one of those wild card events that can affect the market. Past wild cards were terrorism, oil prices, and the previous financial liquidity crisis. Stay tuned. Posted in Cape Coral, Fort Myers, Southwest Florida Real Estate. Sales could be up because median prices fell again 5.45% from the previous month, and 1.01% from last year. 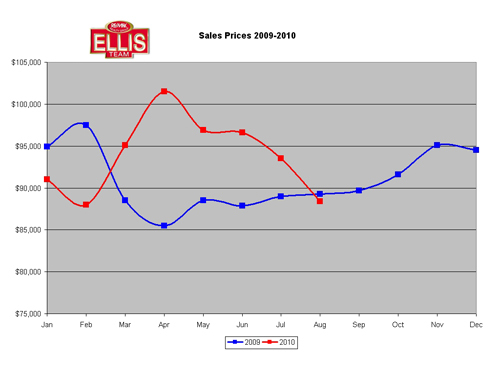 By the attached chart you can see that home prices peaked in April of 2010 as opposed to reaching the bottom last April. Home sale prices have now crossed over and fallen behind last year’s numbers. This is a telling sign, and one that is playing out all across America as the real estate market has stalled along with the economy. Transactions pick up as prices go down, but we’d like to see more stability in the market. The median home price factor is more of an indication of affordable priced inventory as 1st time home buyers and investors are snapping up entry level homes as fast as they come on the market, and less inventory means fewer sales. We’d like to see more sales in the mid and upper price ranges before we can say we have a healthy market, but we don’t hear anybody calling this a healthy market just yet. 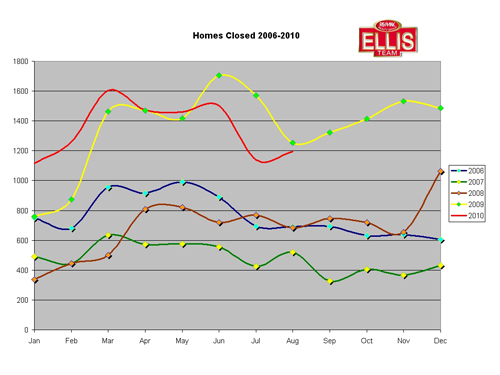 Even though 2010 shapes up to be the 2nd best year on record for closed home sales, there is not broad support across several submarkets to call it a healthy market. If it was strong we’d see rising prices. The good news is prices have held fairly stable except for a temporary run-up, and season is again right around the corner. Oil did not make it to SWFL, and today’s prices could again lure many from up North to purchase this season. We’d like to see our government get back on track and offer incentives to get our economy and real estate market back on track, but that may have to wait until after the November elections as the current administration just doesn’t get it. Real estate is traditionally about 32% of GDP and Main Street and the economy are married for better or for worse. It’s hard to cure one without the other, and yet we don’t seem to be doing anything to help either. In the meantime, interest rates are at record lows, affordability is at record highs, and buying power has never been better, so anyone who is qualified to buy is in good shape. If the banks were to release more inventory, look out as this market could take off again. Failing that, we may be in for status quo numbers for a few months until some questions are answered in the elections and the job market turns around.